The hustle is REAL for Teresa Giudice! 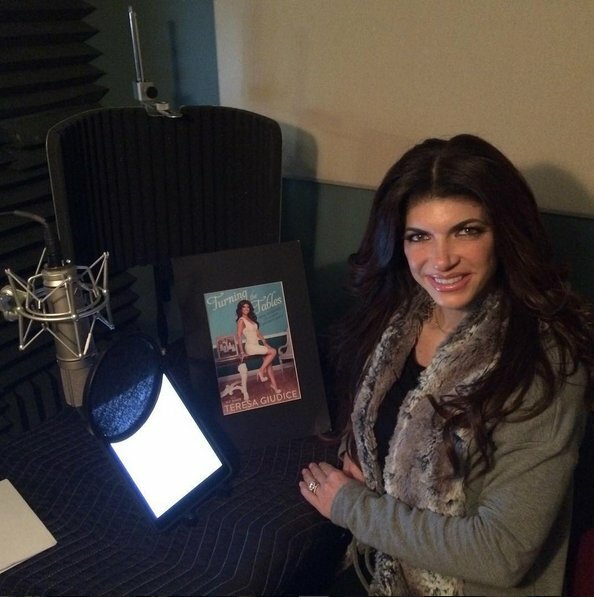 Since the The Real Housewives of New Jersey co-star’s release from prison last month, after serving nearly a year on fraud charges, she has jumped right back into life and is now recording the narration for the audiobook version of her soon-to-be-released prison memoir, Turning the Tables: From Housewife to Inmate and Back Again. I’m loving reading this book to you guys for @SimonAudio! Can’t wait for you to hear #TurningtheTables! RELATED: Teresa Giudice’s Rental Property For Sale In Foreclosure Auction! Turning the Tables has a release date of February 9th. TELL US: WILL YOU BUY TERESA’S LATEST AND GREATEST BOOK?